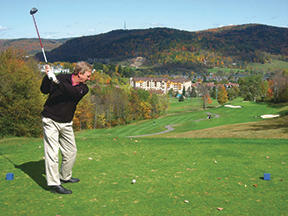 It's a whole new game with the newly renovated 6500 yd, par 70 Double Black Diamond golf course. Fairways have been modified and new bunkers added. Two things have remained: the incredible scenery from the upper tees and the easy, laid back atmosphere. Come play with us for a refreshing change of pace.